Emergencies can occur anywhere and anytime. Fortunately, Chamba is well equipped to handle all kinds of crisis. Different emergency service providers have their offices located in this town. Among them the police force is the most important one. While the police department takes care of your safety and the fire department is there to take care of fire hazards, it is important that you should keep yourself prepared for all other kinds of crisis. Medical emergency is one of them. One cannot deny the fact that timely medical intervention can save many lives. Fortunately, Chamba has quite a few good hospitals. 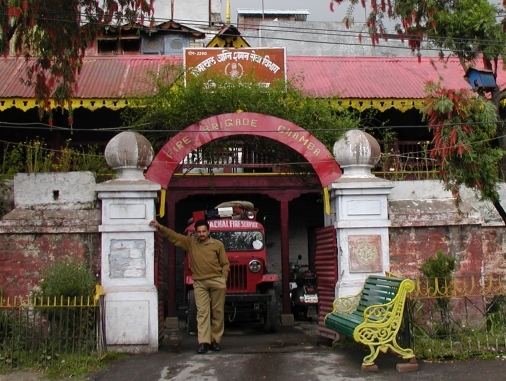 Most hospitals in Chamba run their own ambulance service. Therefore, if you need such services, you may call them directly. In addition, the government has introduced a number of ambulances to cater to the pregnant women and their children up to the age of one living in far flung areas. Chamba also houses a number of chemists, who sell all kinds of life saving medicines. Among them, Dhall Medical Stores in Chowgan Bazaar, is one of the most reputed stores in town and can easily be approachable from every part of it. Chamba, being a hill station, is much prone to natural disaster. The Deputy Commissioner of Chamba, who is the senior most administrative officer in the district, is also responsible for all kinds of disaster management in areas under his jurisdiction. Therefore, if you find yourself in any kinds of natural or manmade disaster, you may contact him directly.